Ahlen, March 2017. – The new Kaldewei Cayono Duo bathtub is the perfect solution for price and design-aware developers and modernisers. It boosts the attractiveness of the bathroom without putting undue pressure on the budget. Cayono Duo is particularly recommended for young modern families who want maximum quality and comfort at a low cost. 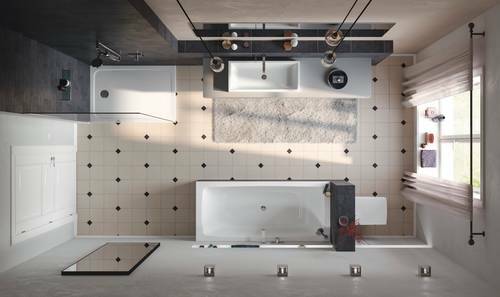 The new Kaldewei bathtub however also offers investors and operators a cost-effective bathroom fit-out solution for residential developments and hotels that delivers uncompromising quality and exceptionally good value for money. The new Cayono model extends the popular Cayono bathtub family with a new Duo bathtub featuring two comfortable backrests. 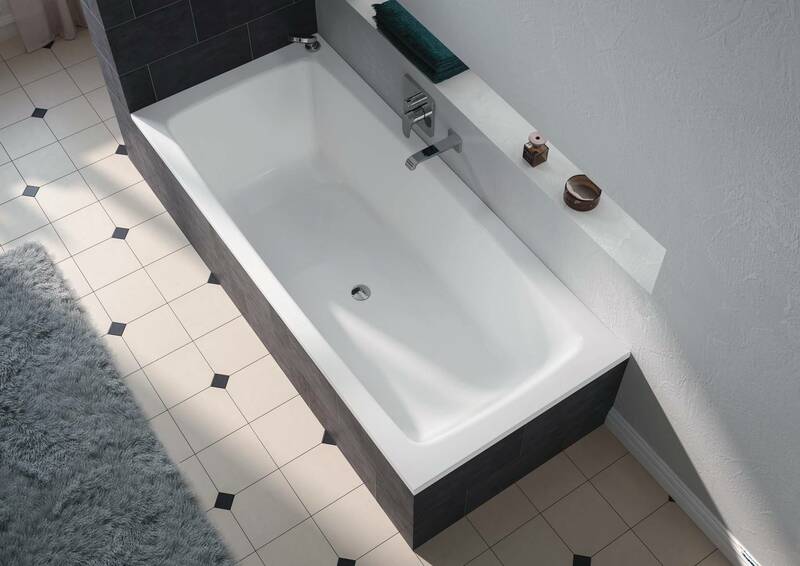 A roomy interior and the centrally-positioned waste and overflow outlet ensure that there is plenty of space for both a single bather or two people. The Cayono Duo made of robust Kaldewei steel enamel is available in two sizes: 170 x 75 cm and 180 x 80 cm, making it ideal for many different room layouts. In terms of shape, material and colour it perfectly complements the new Cayonoplan enamelled shower surface. The attractiveness of bathrooms in residential properties and hotels has an influence on the rents or accommodation charges that can be achieved. The cost of the Cayono Duo is only slightly higher than that of a standard bathtub but it offers enormous added value thanks both to its functionality and the superb quality of the material, Kaldewei steel enamel. 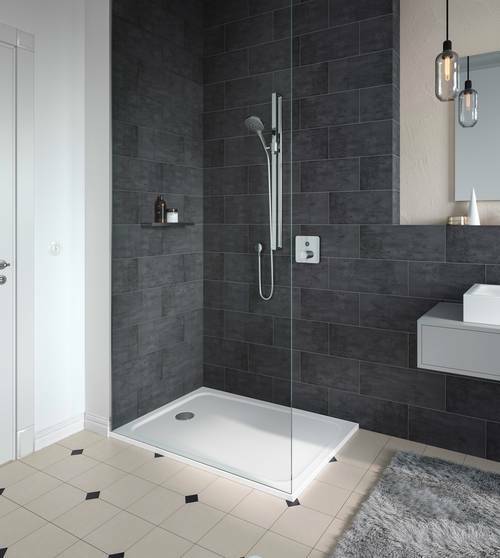 This makes the new Kaldewei bathtub an exceptionally cost-effective investment which pays for itself within a very short time. 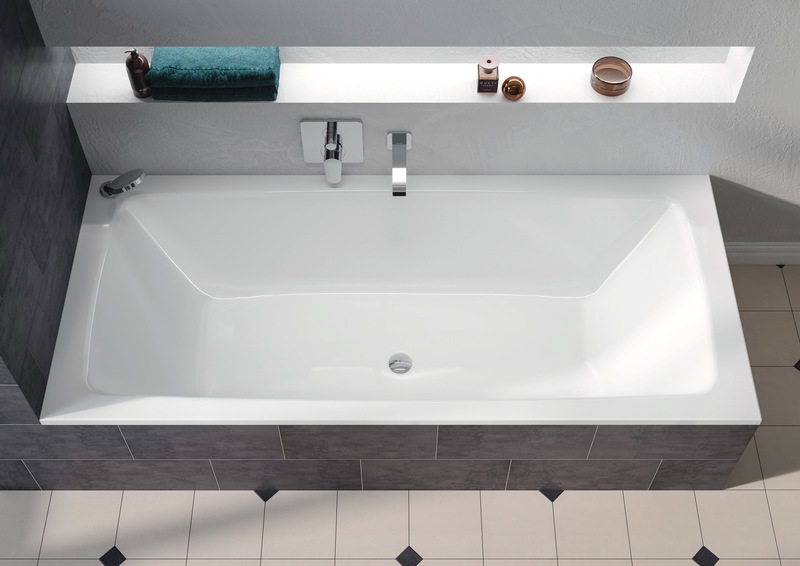 The new Kaldewei Cayono Duo bathtub is the perfect solution for price and design-aware developers and modernisers. It boosts the attractiveness of the bathroom without putting undue pressure on the budget. The new Cayono model extends the popular Cayono bathtub family with a new Duo bathtub featuring two comfortable backrests. A roomy interior and the centrally-positioned waste and overflow outlet ensure that there is plenty of space for both a single bather or two people. Cayono Duo is particularly recommended for young modern families who want maximum quality and comfort at a low cost. The new Kaldewei bathtub however also offers investors and operators a cost-effective bathroom fit-out solution for residential developments and hotels that delivers uncompromising quality and exceptionally good value for money. With its classic design the Cayonoplan perfectly complements the Cayono bathtub family, allowing for a harmonious design vocabulary and single material in the bathroom.